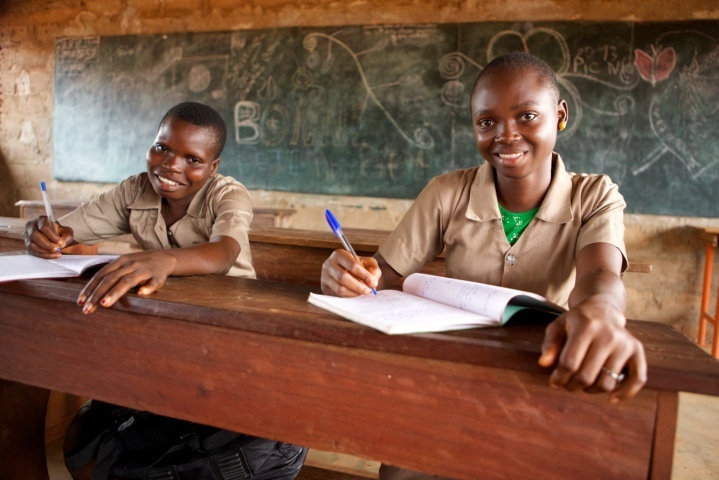 At Batonga, we believe that one of the most effective ways to reduce poverty and increase the prosperity of communities is to provide young women with access to a quality secondary school education. An educated women is able to contribute to her country's per capita income growth rate and become a self-advocate and leader in her community. She will marry later and have fewer, healthier children and will ensure that her children to school. Did you know that a child born to a mother who can read is 50% more likely to survive past age 5? An estimated 2.8 million children’s lives could have been saved in 2013 if their mothers had received a secondary school education. The Batonga Foundation was founded by Angelique Kidjo, a Grammy-award winning singer, songwriter, and UNICEF Goodwill Ambassador. Angelique experienced firsthand how educating one girl can initiate a positive force for change. She was educated in her home country of Benin, where only 27% of girls make it to middle school, and even less are able to finish. Angelique and Batonga want to change this. Batonga not only provides the tools and fees necessary for girls to attend and succeed in secondary education, but we also support mentoring and tutoring programs that allow scholars to catch-up in their most challenging subjects. We build latrines, water wells, and hand-washing stations at schools, and provide shoes, bicycles, and other support to help students overcome the most challenging barriers they face to pursuing their education. We also provide financial training, business development skills, micro-loans, and support for mothers as an incentive to help ensure that their daughters stay in school. Together, one girl at a time, we will transform lives and help others build a brighter future! To learn more about our mission and to stay up-to-date on our work, visit us at www.batongafoundation.org, and be sure to like us on facebook and follow us on twitter.